Whether you are primarily interested in the track or the vehicle side of the wheel/rail interface, the effects of “truck warp” should be of interest to you. This two-part article examines the impact of warp in the overall operating environment. Part 1 examines what truck warp is; Part 2 addresses the effects of truck warp and measures that can be taken to prevent it. Webster defines “warp” as “to turn or twist out of shape.” This is exactly what happens to a rail truck, or bogie, when it warps: it twists out of shape. The term “truck warp” came into vogue in the late 1980s, when the new 125-ton doublestack cars entered rail service, and a significant number of rail rollover derailments occurred. Figure 1. A normally curving, square truck. Figure 2. An abnormally curving, warped truck. Warped trucks are most evident when executing a curve, during which they produce excessive squealing caused by flange contact against the outer rail, and a deeper groaning sound on the inner rail as the wheels slip across the railhead. Truck Performance Detectors (TPDs) can accurately detect warped trucks by the characteristic pattern of wheelset forces they generate, rather than by their acoustical attributes. Figure 3. The leading axle under a normally steering truck produces higher forces than the trailing axle. While noise alone may be cause for concern in some instances, there are other, more significant consequences. For starters, warped trucks cause excessive wear on components. At worst, they can cause rail rollover derailments. 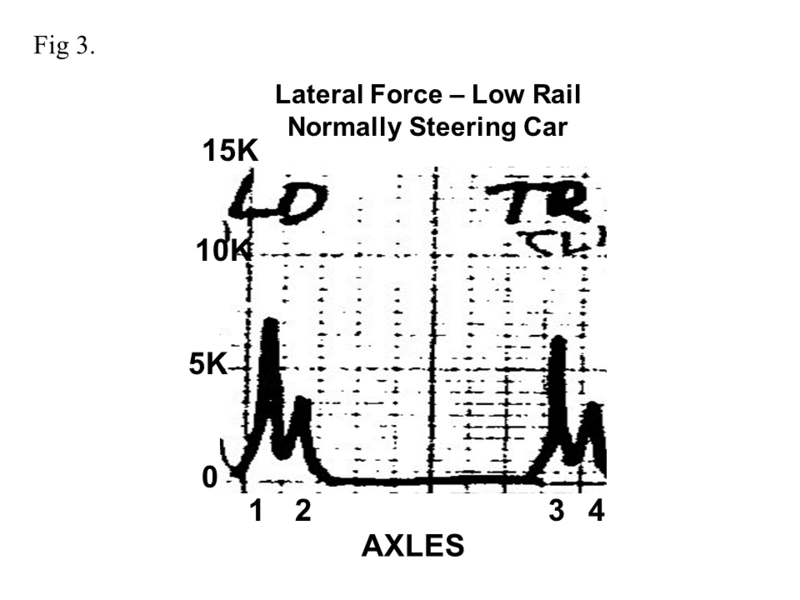 Figure 3 shows a typical plot of the lateral wheel forces produced under a normally steering truck. Note that the leading axle always produces higher forces than the trailing axle. This is because the leading axle always attacks the outer rail of a curve at a higher angle of attack than the trailing axle. 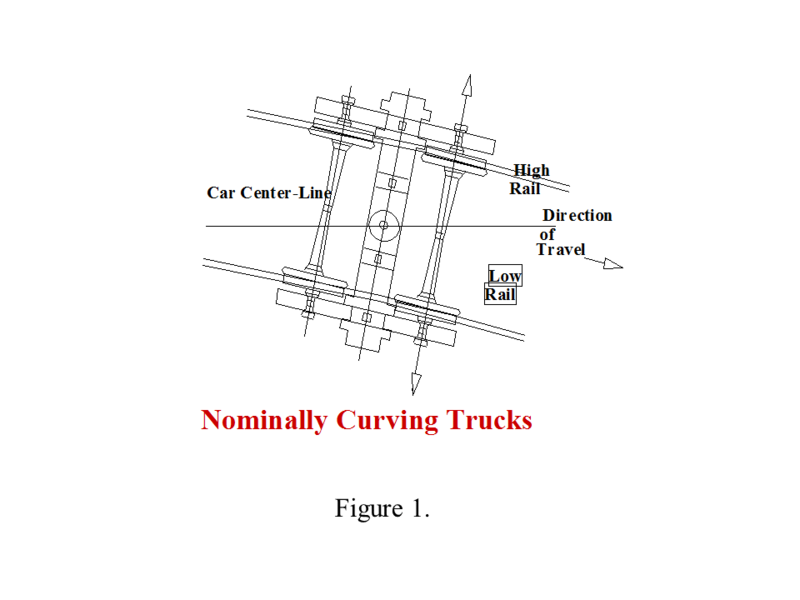 Visualize a truck as a square box trying to move through a curved trough. The leading edge is always going to be bumping into the outer edge of the trough. However, the forces on the trailing axles are usually benign, as the trailing wheelset maintains a nominal radial alignment with the center of the curve. When a truck warps, however, both axles are aligned sharply against the outer rail of the curve in a severe angle of attack. This creates significant flanging forces against the rail resulting in excessive wear to both the wheel and rail. Since the wheel is exerting excessive flanging forces against the outer rail, a similar and opposite reaction occurs against the inner rail of the curve. Remember Newton’s third law of motion? “For every action or force, there is an equal and opposite reaction or force.” In addition to the flanging forces on the high rail, a warped truck also generates a lateral creeping or sliding force across the head of the low, or inner, rail of a curve as the inner wheel attempts to keep up with the speed of the outer wheel. The magnitude of this creep force, which acts toward the field side, is largely dependent upon the coefficient of friction between the wheel and the rail. The net effect is that a warped truck produces gauge-spreading forces against both rails. Figure 4. 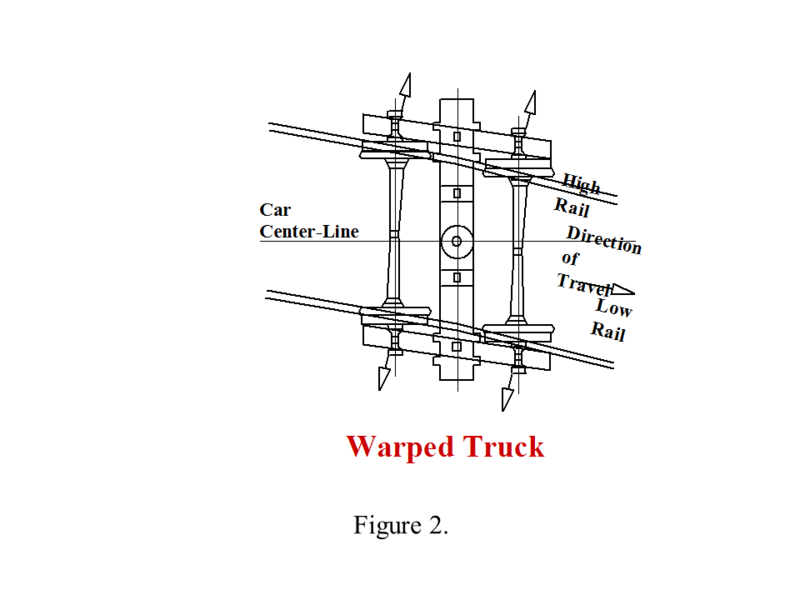 A warped truck produces gauge-spreading forces against both rails. While many track maintenance supervisors think that it is primarily the outer rail, or high side, of a curve that receives gauge-spreading forces, the inner, or low, side of a curve also tends to roll outward under truck warp forces. 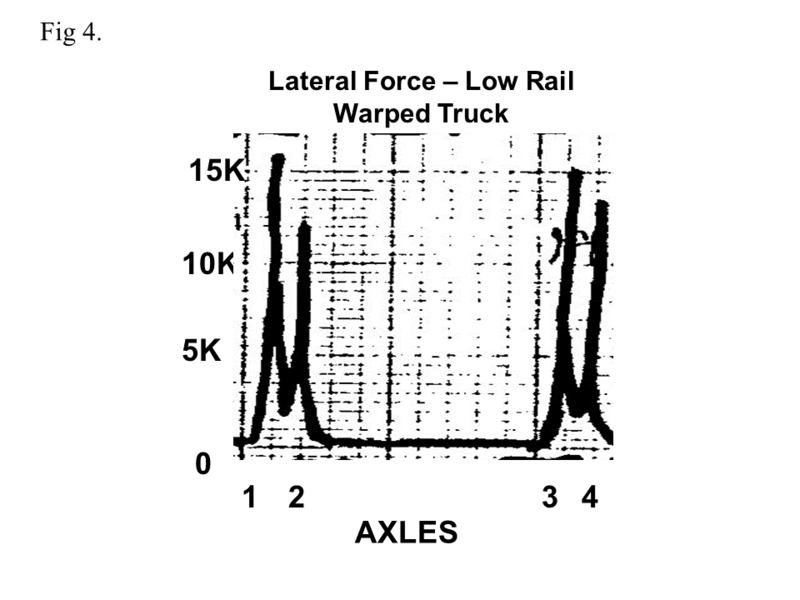 Figure 4 shows the forces developed against the head of the low rail at all four wheels of a vehicle with warped trucks. A common characteristic of the warped truck is that the trailing wheel of the truck produces equal, or in many cases higher, lateral forces than the leading wheelset. This rarely occurs in a normally behaving truck. Also, the wheels on the trailing truck of the car produce excessively high forces on both axles. On a normally tracking car, the trailing truck generally produces much less lateral force than the lead truck. But when the trucks warp, both the leading and trailing trucks produce excessive lateral forces. This means that the track structure must be able to withstand the attack of four wheels on a vehicle, instead of just the lead axle of the lead truck on a normally steering car. This creates an opportunity for gauge widening as all four wheels are pushing on the rail simultaneously, trying to roll it outward. The track structure must be solidly spiked, or anchored to prevent a rail rollover derailment. What causes trucks to warp? There are several causes of truck warp. First, we need to understand how a truck steers through a curve. In a normal situation, as the leading wheels of a wheelset enter a curve, the taper on the wheelset causes the outer wheel to develop a larger radius than the inner wheel. That is, the outer wheel moves toward the throat of the flange, where the radius is greater, and the inner wheel moves toward the field side of the tread, where the radius is smaller. Thus, the wheel becomes conical in shape, with the outer side rolling on a larger radius than the inner side. Visualize the typical foam coffee cup. The top is larger in diameter than the bottom. If placed on its side and rolled, it will tend to roll in a circle. A wheelset does the same thing. The larger diameter of the outer wheel creates a steering moment that pulls the wheelset in a curved path. This steering moment that is generated by the diameter (radius) differences in the outer and inner wheel then creates a turning moment that tends to pull, or steer, the truck bolster through the curve. The forces from the wheel are transferred through the bearing adapters, into the side frame, through the friction damping elements (friction castings or wedges), and eventually into the bolster. The bolster must then rotate on the truck center bearing (centerbowl) to complete the sequence. If the bolster rotates freely, the truck steers properly, and curving forces are minimal. If the bolster does not rotate freely, the truck attempts to “warp” at the bolster to sideframe interface to accommodate the curve of the track. Figure 5. The turning moment is a function of the steering moment of the wheelset and the warp movement of the truck. —An insufficient longitudinal steering moment is developed at the wheelset due to poor wheel profile characteristics—typically, hollow worn wheels. —An insufficient warp stiffness or moment is present at the bolster to sideframe interface, otherwise known as the friction castings, or friction wedges. Or, an insufficient stiffness is present at the wheelset bearing adapter to sideframe interface. —A significant resistance to bolster rotation, or turning moment, is developed due to friction in the centerbowl, or rotational resistance due to tight side bearings. 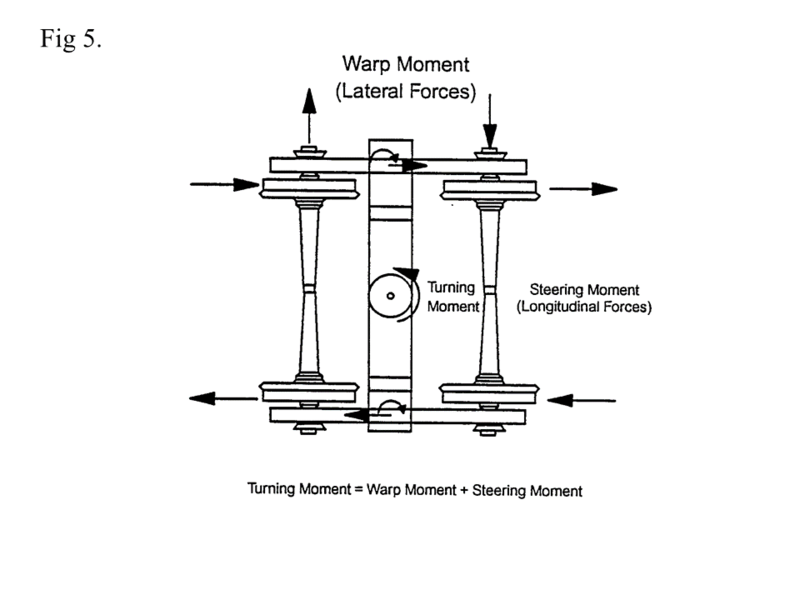 Figure 5 shows how the steering moment of the wheelset, the warp moment of the bolster to sideframe interface, and the turning moment of the truck bolster interact to form a force balance. Part 2 of this two-part sequence will drill down into the potential causes of truck warp, and examine proactive measures to prevent it. Gary P. Wolf is President of Rail Sciences Inc.